Retirement, for any sportsperson, is the most heartbreaking decision to make - detaching themselves from a game they love isn't an easy task. Several players in the past have been criticised for not timing their retirement well - for stretching their career too far in the hope of a record/milestone, even jeopardizing young careers in the process. There are also a few players, who decided to hang up their boots at the right time, either retiring on a high, or ensuring that their poor run of form did not stretch for a long time and affect the team in any way. The left-handed wicketkeeper-batsman, with close to 30,000 international runs, had decided to retire from all forms of the game after the 2015 World Cup, but was asked by the selectors to reconsider his decision. He finally retired after the West Indies and Sri Lanka series that followed, putting an end to a 15-year-career. 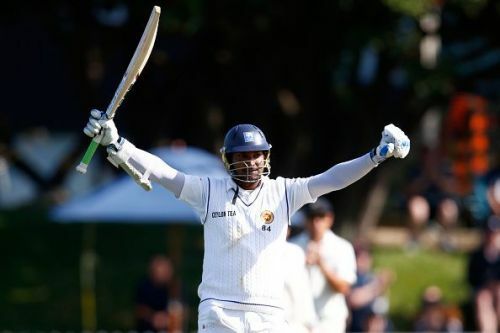 Sri Lanka's most successful Test batsman managed to extend his purple patch even during his last days as an international player, but did not stretch it to a point that he could have become a liability for the country, or an obstacle for any youngster who would have wanted to follow. "I have had so much good fortune in my career, and I can't ask for everything. Sometimes you have to just do the best you can with what's there. If I don't get a chance to play my last Test in Kandy so be it. I will be disappointed, but that can't be helped," he had said. He played his final Test in Colombo.